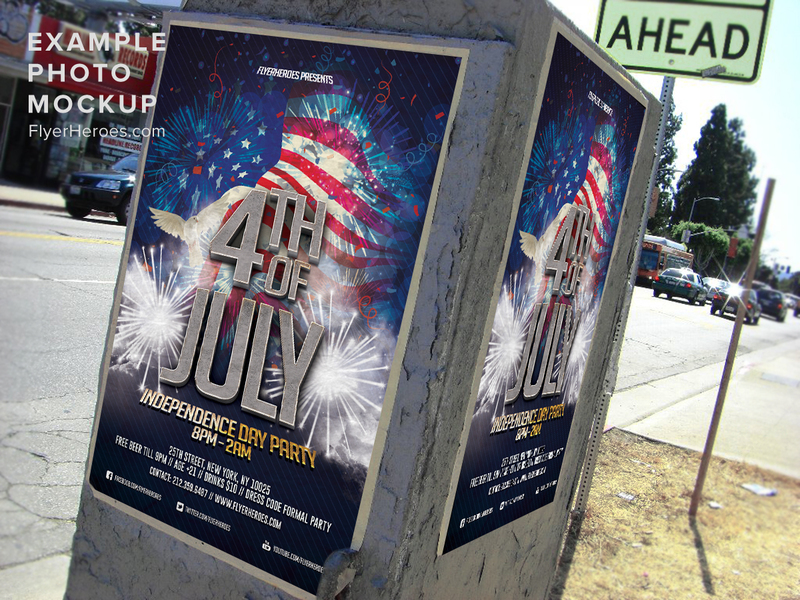 Distribute rolled up versions of the flyer (bound with a red, white, and blue ribbon) to pedestrians in heavily trafficked shopping centers, fairs, festivals, and parks. 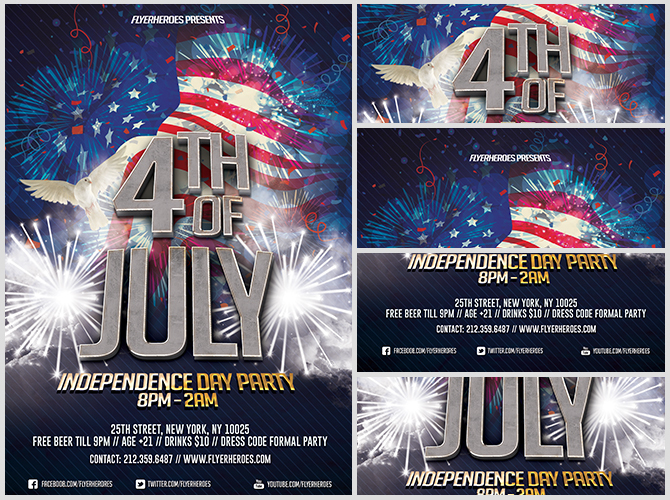 Plaster the flyer across all of your social media platforms and in Independence Day related blog posts. Blast out a targeted Facebook ad using the flyer as your main image. Place thousands of flyers on cars parked in commercial and residential areas. Blow up the posters for placement on bus and train shelter advertising display glass. 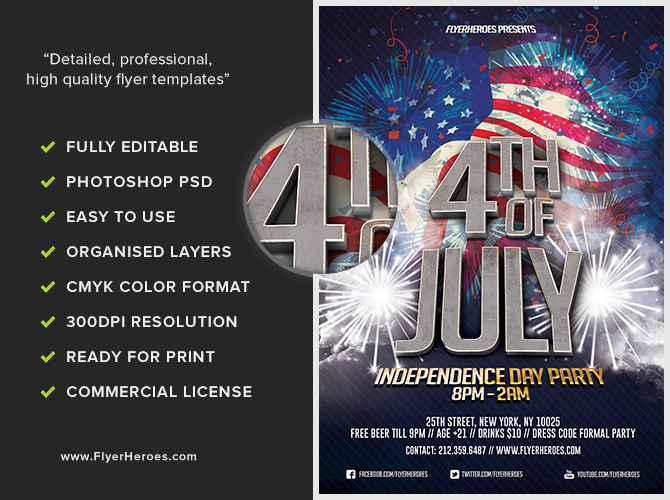 Use the flyer’s image on the front of a postcard mailed out to everyone on your club’s mailing list. Tuck flyers and American flag pins into red envelopes sealed with a flag sticker. Mail to targeted addresses. 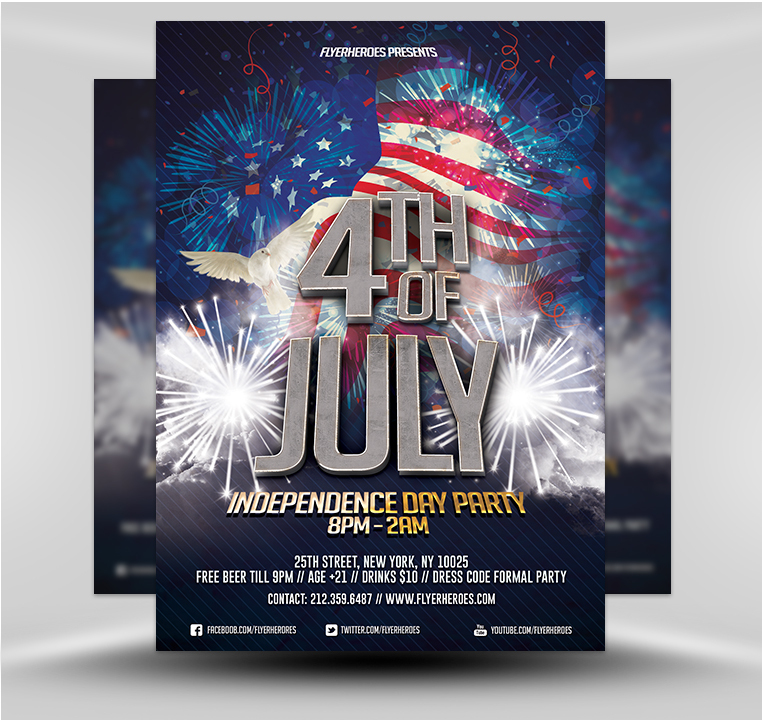 Hire cheerleaders to lead pro-America Independence Day cheers and chants while your club’s staffers hand out July Fourth flyers at the local beach, street festival, or music event. Tack flyers onto library, supermarket, laundromat, health club, and church bulletin boards. Hand out flyers at community meetings.